Brand new! 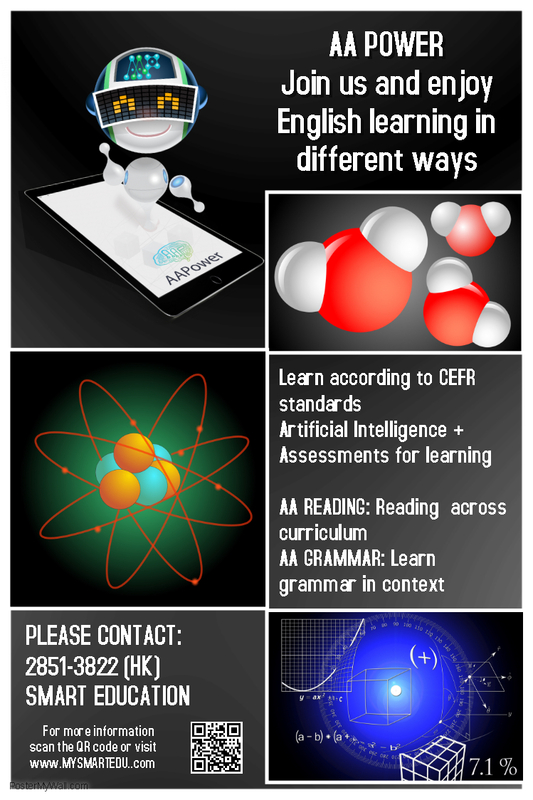 Smart Education’s Artificial Intelligence English Learning Program! We are excited to announce that AA Power is being launched in May 2018. AA Power stands for Artificial Intelligence and Assessments, which includes AA Grammar and AA Reading, it helps students to learn English quickly! If you are interested in knowing more about AA POWER, please click here. This entry was posted on April 24, 2018 by Ho Chloe.